Joey Reiman believes that if something is worth saying, it’s worth saying well. As a writer and business communicator, I couldn’t agree more. But, Joey is more than a memorable wordsmith; he uses words to move people and change the world. His core motivation: to help individuals — and companies — find their purpose in service to others. “The key component of a successful life is to put meaning before money, to find out your why, to discover your purpose because if you don’t define yourself, someone else will define you, and that is a problem – that is the misery of our times,” Joey told me a few days before he spoke to a group of Atlanta-area professional communicators. 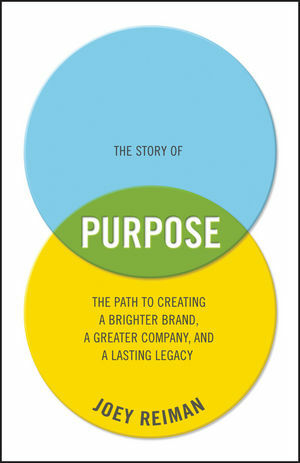 Joey, founder of BrightHouse, one of the world’s first ideation companies, believes purpose is both a financial and humanitarian force in the world, and I believe it, too, after reading his 2012 book, The Story of Purpose. This tour de force transformed how I view the role of business, including my own. Joey opens his book with this question: Can business save the world? His answer is yes, and the path to get there begins with companies rediscovering their origins or “ethos” — why they started to begin with — and then integrating this ethos with a Master Idea or purpose today. Quoting from Aristotle,”where one’s distinctive talents intersect the needs of the world, there lies your vocation,” Joey has helped companies as diverse as SunTrust, McDonald’s, Coca-Cola, American Standard and Procter & Gamble find this intersection between ethos and Master Idea, talent and need, and in the process, transform their organization. 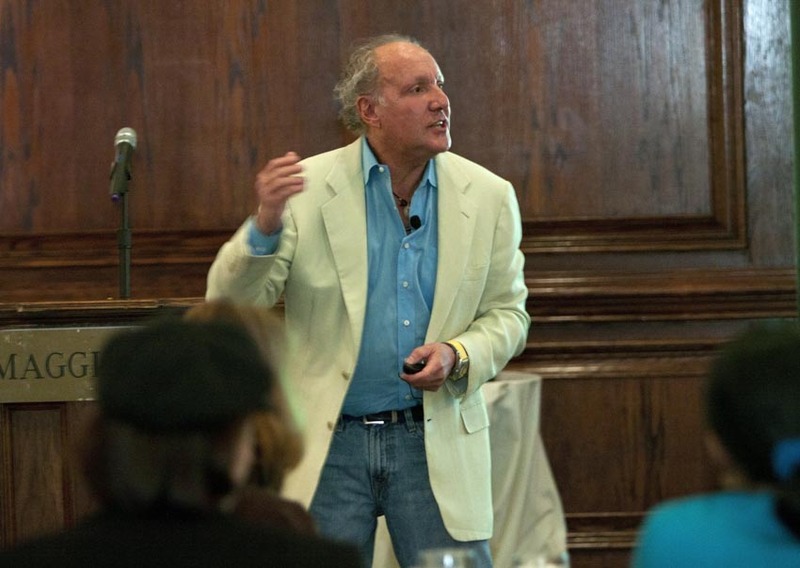 And his favorite time of the work week is not engaging with Fortune 100 leaders, but the two mornings he spends teaching the story of purpose to business school students at Emory University. In the 13 years he’s been an Emory adjunct professor, Joey has seen his class become the most subscribed of all the courses offered in the business school. Meeting Joey and hearing his purpose message has inspired me to recommit to my own path: this September marks my 14th year working independently as a “strategic storyteller,” where I help my clients tell their message memorably. The “why” behind starting my company has everything to do with independence — to define my own destiny — and not be defined by those with whom I worked. It’s given me flexibility to pursue new projects, including blogging, pursuing my first historical novel, and just being a “mom” to my children. I now look forward to helping my clients tell their own story of purpose, while recommitting to my own. Subscribe to Joey Reiman’s daily tips at http://ww.dailyjoey.com or visit http://www.joeyreiman.com/. This entry was posted in Author Interviews, Brand Strategy and tagged branding, Joey Reiman, Story of Purpose, storytelling on April 16, 2013 by AnneWainscott.